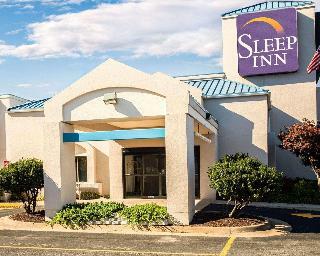 The Sleep Inn hotel is ideally located off Interstate 95, less than one mile from the Riverside Center dinner theater. Located 4 miles from historic Fredericksburg. Golf courses, movie theaters and shopping nearby. Free deluxe hot continental breakfast available daily 6:30 AM - 9:30 AM. Indoor heated salt water swimming pool and fitness room. 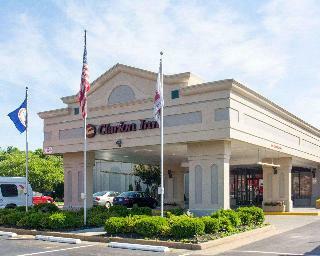 Centrally located in the heart of historical Fredericksburg, this outstanding venue is ideal for both business and leisure travellers alike. The city itself is nestled along the banks of Virginia's Rappahannock River and offers many interesting historical sites to see and activities to do. This thriving region is steeped in American history and boasts an array of cultural attractions like the childhood home of George Washington - Ferry Farm and many Civil War battlefields. The hotel is less than a five-minute drive from the University of Mary Washington and in a area full with shopping options, dozens of retailers and specialty stores. It welcomes its guests to warm, inviting and convenient accommodations and offers them countless features and exceptional service â?? gym, 2 pools, 2 meeting rooms for up to 175 visitor, business centre and the spacious Yak-a-doos restaurant.